Designed for stability with room for up to (3) budding artists. 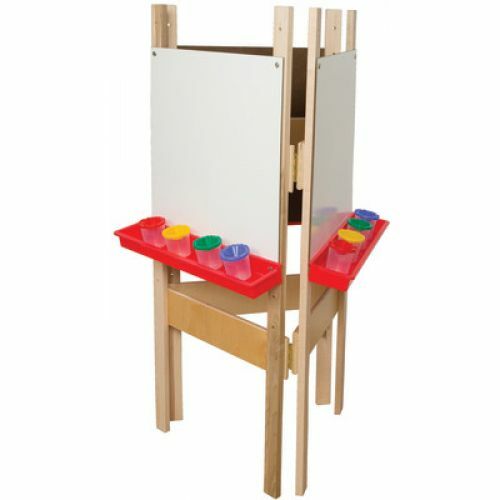 Has (3) work/art surfaces with durable plastic trays, and are hinged together for strength, stability, and safety. Available with chalkboard, hardboard, acrylic, or markerboard drawing surfaces. GREENGUARD® Gold certified. Made with 100% Healthy Kids™ plywood and our exclusive Tuff-Gloss™ UV finish. 20"W x 24"D x 48"H.